This book. It broke my heart so many times, yet still managed to leave me smiling (through the tears, but hey). 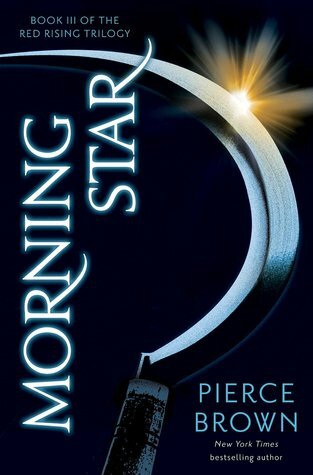 Morning Star does not have the frenetic pace that Golden Son had before it. Though there are plenty of battle scenes and action, this book is focused so much more on character development. While it didn’t have quite as many shocks and surprises as the first two books, I can’t be too upset about that because the character growth was just phenomenal (and let’s be real, good character development is what I crave from all my books). One of the things I have come to appreciate most from Brown’s writing is his ability to surprise me over and over again. As I said above, this book doesn’t have quite as many surprises for me, but it still had a few (or maybe I’m just getting better at guessing them earlier?). There was one big event that shocked me and then made me immediately think (hope), “Oh, that’s a misdirect.” But then the chapters went on…and let’s just say the writing will always keep you on your toes. Sevro, my little Goblin, has always been one of my favorite characters and in this book he’s given much more page time. He’s definitely been feeling the pressure of keeping things going after the heartbreaking events of Darrow’s Triumph and let’s just say he hasn’t exactly handled it very well. I went from loving him, to being really annoyed with him, to wanting to just hug him, to loving him again. He remains the comic relief when things get heavy, but he also confronts his emotions in a way we haven’t really seen from him before. My Howler heart will always be his. In any book with war there are many deaths and Brown has never pulled any punches when it comes to killing off some of my favorite characters. Morning Star is no exception. I may have shed a few tears and yelled, “Screw you, Pierce Brown!” on more than one occasion. It’s been a long time since a series has had such an emotional impact on me. I don’t even know why. It has beautiful writing, despite the blood and the death and the horror. It’s just beautiful. And it’s clever. And the characters! They were flawed and empathetic and I just loved so many of them. Darrow was an amazing protagonist that made me laugh, broke my heart, made me cheer, and made me hope. The deaths of some of his friends and allies (and even some enemies) made me tear up (and occasionally shed a few) and when I wasn’t reading about these characters, I was thinking of them. And I think that’s really the mark of a great book. When the characters and the stories live with you, outside of the pages. Overall, Morning Star was a bloodydamn great ending to the series. While it didn’t have quite the same “fun factor” as the first two books did for me, it made up for it in the characters, the emotion, and satisfying conclusion. This series will go down as one of my favorites of all time and will be one I read again and again. If you haven’t read it yet, you really need to. You’ve convinced me to read this series after seeing all of your updates on Goodreads. I have to try it! My work here is here done! I hope you love it! 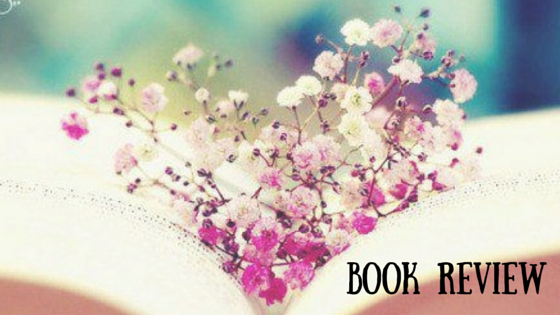 Just remember that if you find the beginning of the first book a little slow, keep going! It took me about 100 pages to really get into it, but once I did – AMAZING! I’ve read your reviews on all three books in this series. It’s always so satisfying to read a whole series and not be disappointed. This book so did not disappoint. I loved it, cried at it, and despaired when it was over. It was a brilliant ending. All the way through I had every finger crossed for a happy ending, at least for Darrow and Mustang, and when they got it, I sighed in relief. The writing did keep my on my toes. I was expecting every moment for things to go horribly wrong like the have in the past. But it didn’t. It ended well. Yay I’m so glad you enjoyed it! It really was a great series ender! And I am SOO EXCITED for Iron Gold!! I’m thinking I need a re-read of this series soon. Yep. I plan on buying the paperback when it comes out in September. So that’s probably going Tom require a re-read. Haha I figured 🙂 I have a review copy of Red Rising and a Nook copy of Morning Star (I got Golden Son from the library), but I think this is a series I need to get all nice hard copies of so I can see them lining my shelves. I finally got the chance to finish up this trilogy. I screamed and shouted as well – with Sevro’s clever ploy with Cassius, and when Ragnar – gulp – oh, Ragnar! (cries…) Such a great read. Oh, Ragnar!! 😦 I was definitely super nervous when it got to that part with Sevro and Cassius… I’m glad you seemed to enjoy it as much as I did!